The sling dining chair has three legs with a "T" base in polished chrome and bronze antique finish [light, medium or blackened bronze]. 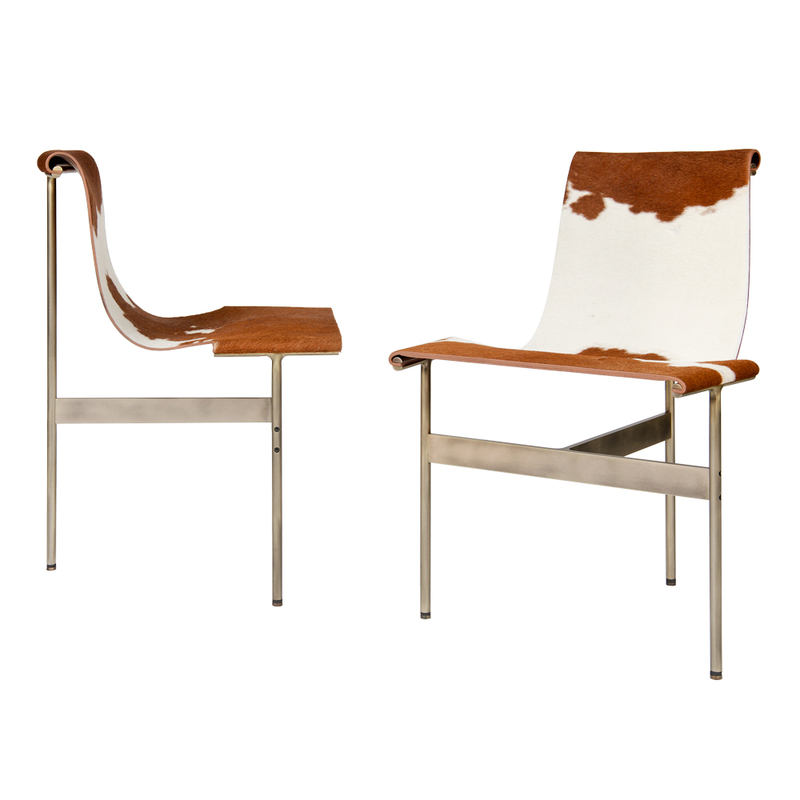 The seat is made with a saddle leather in tan, chestnut, medium brown, dark brown or black leather. The sling is also available with the option of hair on hide in brown and white, tan and white, and black and white.